As a farmer-led community, our nearly 1,200 dairy farm families are at the heart of what we do. Spanning from Pennsylvania to Georgia, each farm is unique. Some have been passed down through several generations while others are just breaking ground. Some remain founded in hard-earned traditions while others welcome the opportunities of what’s to come. Some specialize in delivering by the glass while others share the goodness inside a cone. 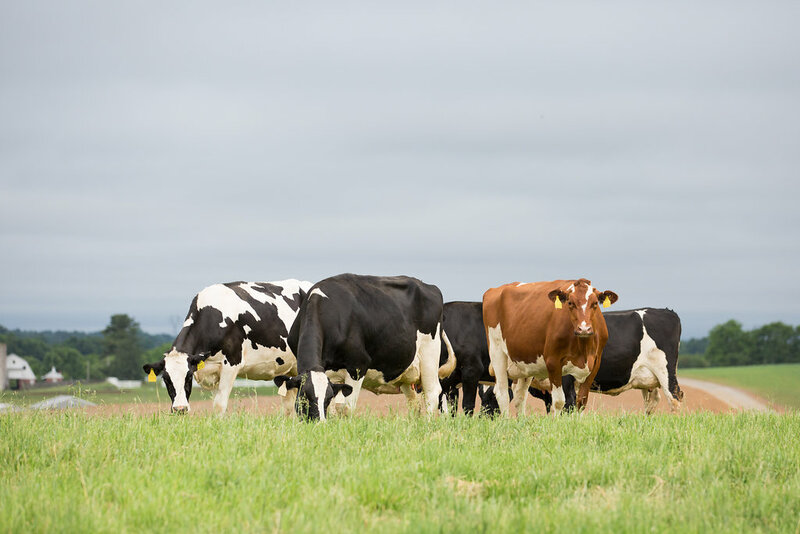 Large or small, young or old, there is one thing each of our farm-families has in common – a shared passion for providing safe and wholesome dairy goodness that hasn’t wavered for nearly 100 years. We are proud to introduce you to our farmers and celebrate their passions and stories with you. 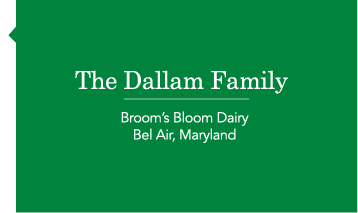 Nine generations strong, the Dallam family owns and operates Broom’s Bloom Dairy in Harford County, Maryland. The farm, which dates back to the early 1700s, is named after a colonial land grant for the area and the original land owner, John Broom. David and Kate took over the farm in 1997, milking 65 cows and making old-fashioned ice cream, farmstead cheeses and pork sausage. 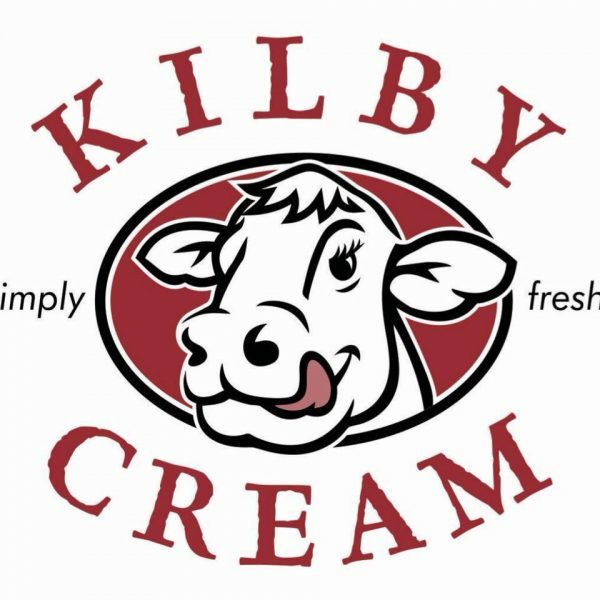 Over the years, the family business has grown to become an iconic ice cream shop in the greater Baltimore and Washington, D.C. metro areas. In addition to their delicious dips, the Dallam family is known for their array of locally produced farm products including meats, cheeses, bottled milk and breads as well as their very own assortment of fresh, all natural soups, stews and chowders. 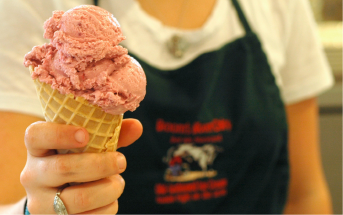 The family-run business has been recognized nationally for their handmade, old-fashioned ice cream, earning top awards from the Washington/Baltimore Zagat Restaurant Guide as well as being ranked fifth in the nation according to Tripadvisor’s Top 10 Ice Cream Shops in the U.S. 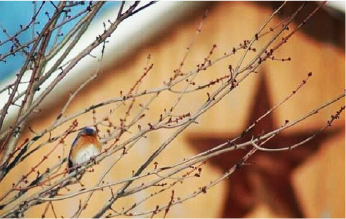 The family also offers farm tours, seasonal happenings and live music events throughout the year. For more information on Broom’s Bloom Dairy and their products, please visit www.bbdairy.com. Brian and Rachel have been farming in partnership with Rachel’s parents, Joe and Veve McCutcheon, at Maple Kroft Farm since 2004. 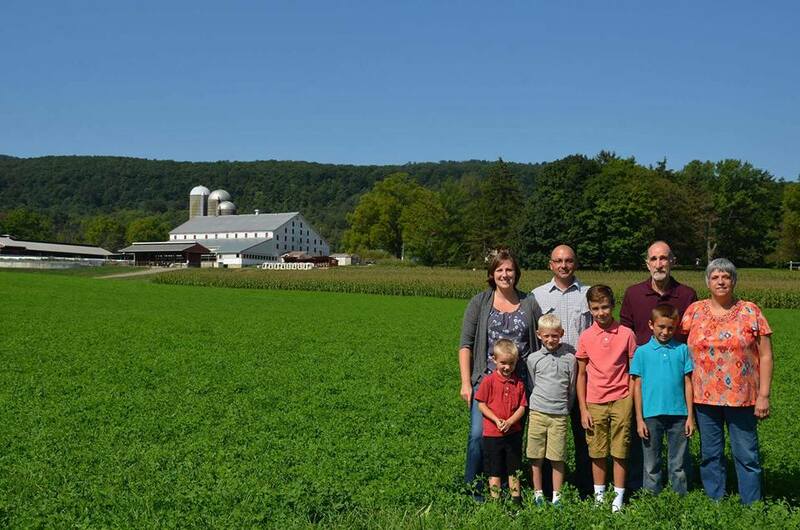 They milk 200 cows, raise 140 replacements and farm 180 acres on their Altoona, Pennsylvania farm. Brian and Rachel are blessed to have four sons, A.J., Aiden, Andrew and Abram. On the farm, Brian wears many hats; he’s the herd manager, crop manager and employee manager, plus he milks and feeds the cows. 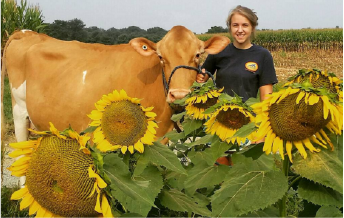 Rachel also milks, and she handles the office side of the farm enterprise, from payroll and taxes to accounting and banking. 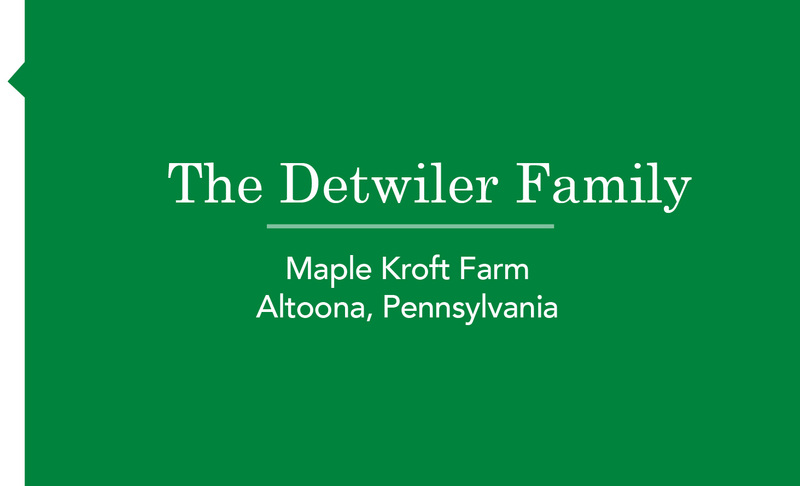 The Detwilers are also active in the Blair County and Pennsylvania Farm Bureau and the Grace Baptist Church of Tyrone. 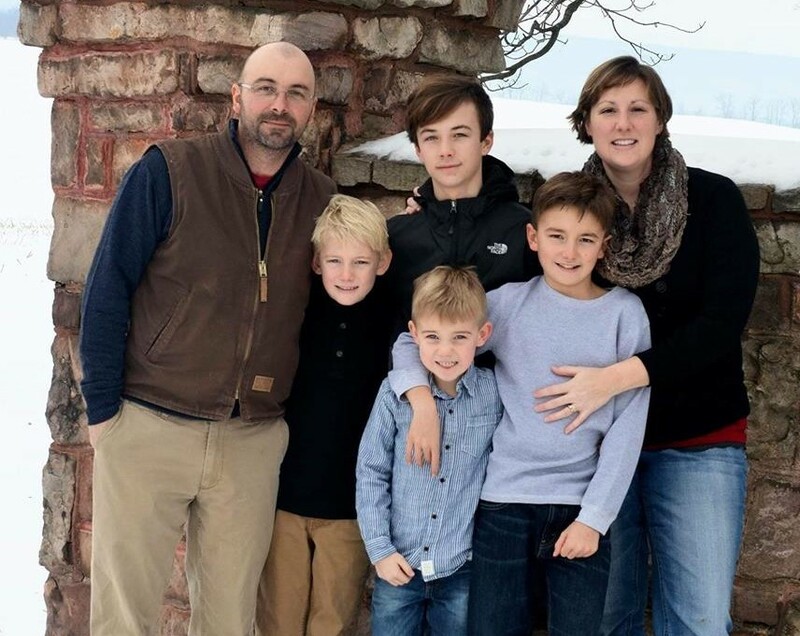 Every year the Detwilers strive to connect with their local community, and show how dairy farmers work to provide a wholesome product. “We have church picnics at our farm and invite our sons’ football teams out for hayrides,” said Rachel. 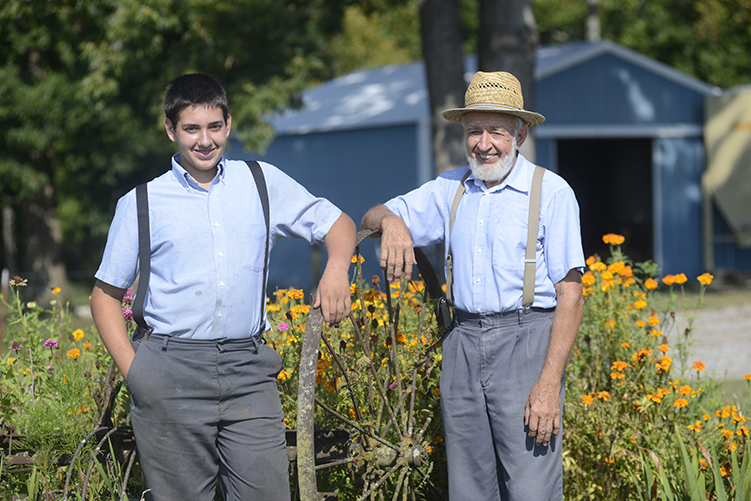 In the fall they open their farm gates to host 75 three-year-old preschoolers for a tour. Brian and Rachel Detwiler are active in Maryland & Virginia’s leadership programs. Brian serves on Maryland & Virginia’s Leadership Council. And the Detwilers earned the Outstanding Young Cooperators title in 2018 where they represented Maryland & Virginia at national dairy meetings. The Detwilers were also featured in a Lactaid Brand Product commercial. From mentioning their farm history to why they enjoy milking and caring for cows, the commercial emphasizes a farmer’s dedication to their farm and family. Visit Lactaid’s Facebook page to view the commercial. In 1979 member John Mast, his wife Mahala and their six children moved to Crossville, Tennessee. They added three more children to the fold, and in 1985 they purchased a dairy that has grown to employ three families. Son Tim has been involved on the farm since he was 11 years old and in 2014, John and Tim welcomed son-in-law Marc Miller to the operation. Marc brought a strong background in dairy production and a keen interest in bottling milk to the family business. The real hurdle they faced was how to make the business work. “It was either go all in, or add cows,” said Tim. 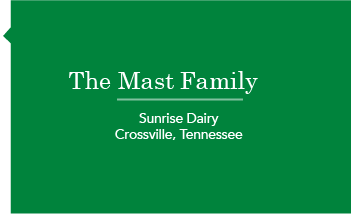 The Masts set up a processing facility for their farm’s label, Sunrise Dairy, just a half mile down the road from their farm. Formerly an old country store and deli, the facility has been transformed into a farm store where the family sells whole, 2-percent, fat-free and flavored milk in addition to their own butter and meats. 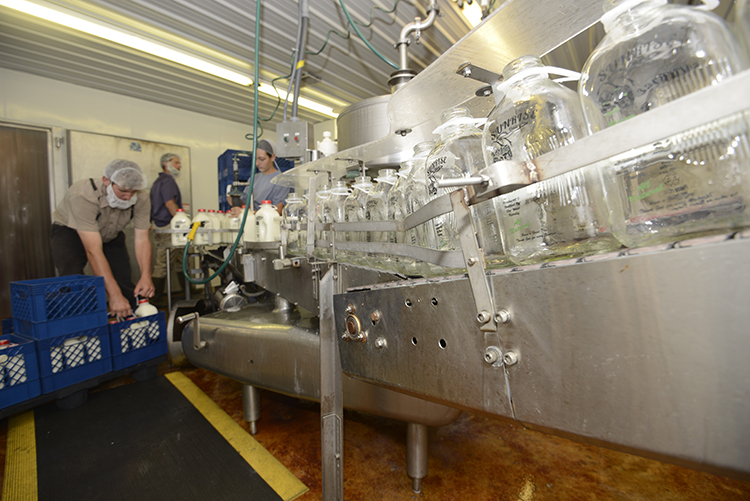 Sunrise Dairy now processes about 1,000 gallons each week, plus they run 150 gallons of ice cream mix when needed. The family milks their 85 Holstein cows twice-a-day in a double-six herringbone parlor. Quality has always been a priority for the family, and they have earned nearly 18 years of annual quality awards from the cooperative. With the bottling operation fully established, the family is looking to new opportunities including offering product in plastic pints and gallons. “We want to grow, but more importantly, we want to give back to the community and provide a local product that’s fresh from the farm and as close to natural as possible,” says Tim. For more information about Sunrise Dairy and where to buy their products, please call 931-277-3777. 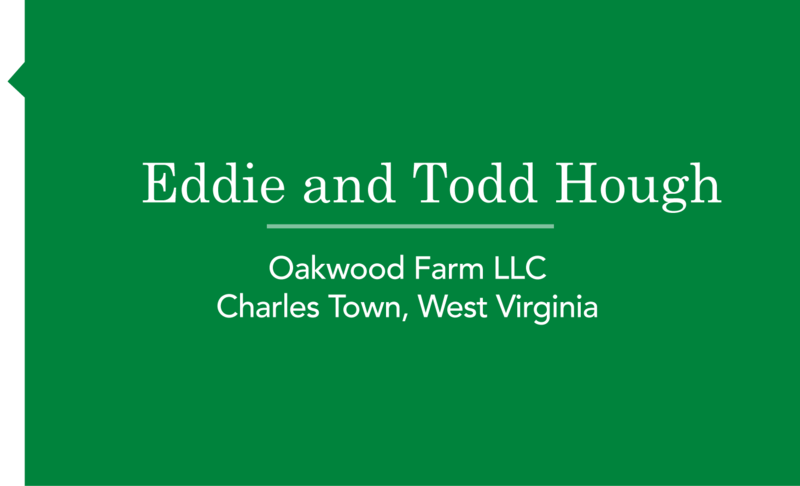 Brothers Eddie and Todd Hough are the fifth generation on their Charles Town, West Virginia farm. 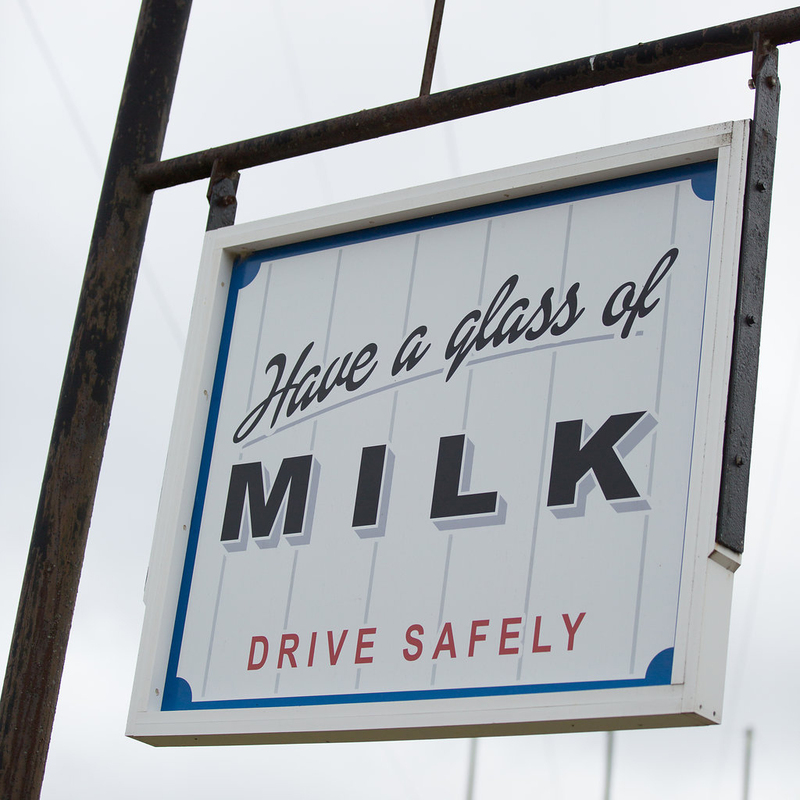 Since 1953 their dairy, Oakwood Farm LLC, has shipped milked milk to Maryland & Virginia Milk Producers. With the help of several employees, they milk 200 cows, raise 200 heifers, and farm about 1,600. 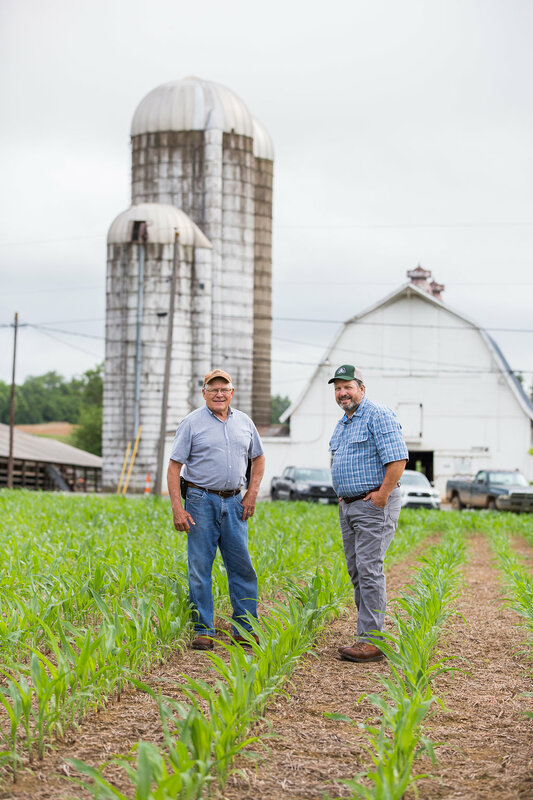 Two of their employees, Calvin Sines and Wayne Hartly, have worked at Oakwood Farm for over twenty years. The Houghs enjoy hosting tours on their farm including school groups and the West Virginia Farm Days. They have also been a tour stop as part of the Jefferson County Farm Day, a self- guided tour showcasing local, active farms. The brothers always welcome visitors to their farm and aim to keep an open-door policy to help educate people about milk and dairy farming.